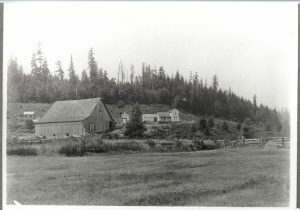 The Barlow dairy farm and farmhouse was formerly located on what is now the south side of I-90 going up the hill westbound toward Eastgate in Bellevue. This photograph most likely dates before 1920, as the paved Newport Way, which is now in the area behind the former farmhouse, is not there. 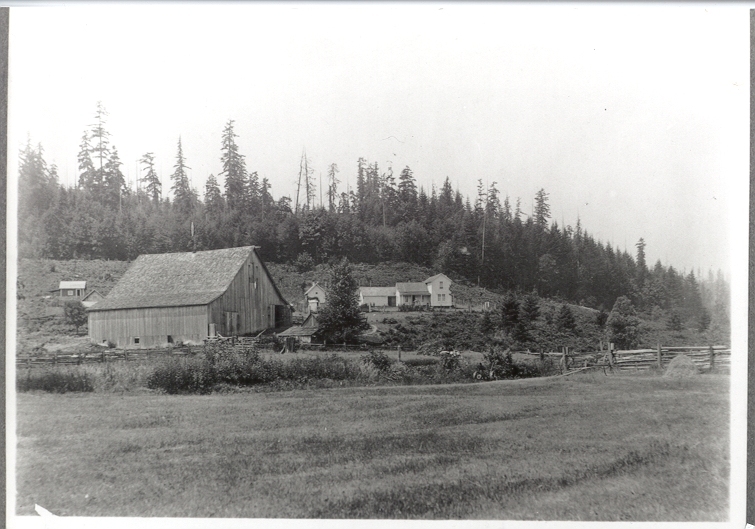 Construction of U.S. 10 in the late 1930’s cut the farm property in half. A hand-piled hay stack is located in the right corner of the photo next to the split rail fence.